Our Wall trellises are a wonderful way to support colourful flowering plants in your garden or courtyard at the start of spring. 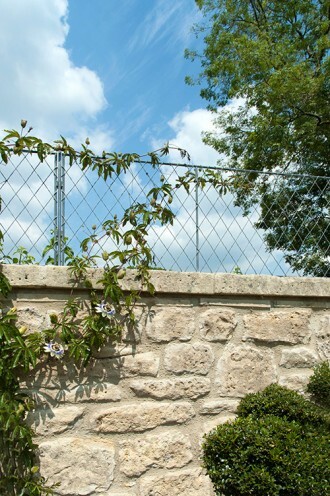 Our light but very strong wall trellis panels are available in a variety of sizes and designs, and provide an elegant maintenance-free alternative to wood that will last a lifetime. Clematis Armandii flowers at this time of year and is perfect for growing through a wall top trellis for extra privacy or over one of our beautiful wirework arches. Why not underplant the clematis with white flowering geraniums or even herbs? For any further information about our wirework panels or arches please call us on 01225 851577.